Applying stains to wood furniture can really enhance the piece’s natural wood grain and natural look. Learning how to stain wood furniture is not difficult and can be a relatively easy skill to learn. There are a few basic tips to follow to ensure a great result, but the best way to learn how to use wood stain is to experiment and practice on pieces of wood that you don’t care about. After you have your technique down pat, you can start staining your wood furniture to make it look fantastic. Step by step guide on how to apply stain over wood filler. 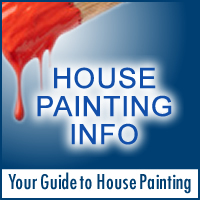 House painting tips and advice to achieve lasting results. Learn about every aspect of house painting with Karl Crowder’s online guide, including how to choose paint colors, surface preparation and application techniques for your project.